Visitors to Harrogate International Nursery Fair took the opportunity to view some fabulous new products at the show today and took the time to peruse the ranges on offer by the many fabulous brands attending. The New Products Showcase has proved popular with retailers seeking the latest new innovations with over 20 companies participating. These include Happy Mummy with the Hook’n’Stroll Light - a lightweight aluminium clip with universal fittings: and Halilit's gorgeous Kimmy the Koala and baby book which is freestanding with crinkling parts, multi-sensory textures, baby mirrors and a teether in a cute little pocket. The first day of Harrogate finished with celebrations as the winners of the Baby Products Association's annual industry awards were announced. The winner of the Concept & Innovation Award is Christopher Melia with Cot Cool a clever device to lower the temperature in a baby's sleep environment during hot weather. Christopher was presented with a trophy and will also receive free legal advice as his prize from sponsor law firm 3Volution. The doors open today (Sunday 24th) on the event the industry has been waiting for - Harrogate International Nursery Fair 2019. Three halls of the Harrogate Convention Centre are packed with a host of exciting new products - with many well-known brands exhibiting and new suppliers attending for the first time. Don't miss the New Products Showcase in Hall Q presenting some fantastic product launches - and at 4pm the Baby Products Association will be announcing the winners of the 2019 BANTA awards in the Seminar Theatre. Whether you've been having conversations with colleagues, suppliers or customers, how many times this week have you heard the words, 'see you in Harrogate!'? As the UK's only nursery trade show, it really is the 'annual coming together' for the majority of the nursery industry and the event certainly has a lot in store for everyone attending. Just six days until the UK nursery industry joins together for Harrogate International Nursery Fair - the UK's only baby trade show - and if current vibes are anything to go by, this year will certainly be an event to remember. Show offers are being updated daily - so be sure to check out details online, there are lots of huge savings up for grabs. With just over a week until Harrogate International Nursery Fair, exhibitors attending are not only gathering their products and putting eye-catching displays together in readiness for the show but are also planning some fabulous SHOW OFFERS too. Many companies are offering fantastic discounts including up to 50% off orders placed at the show, no minimum order quantity, display discounts and free delivery. These combined offers make attending Harrogate more attractive than ever before and huge savings can be made by during your visit. Exhibition space at Harrogate International Nursery Fair is now sold out and visitors attending the show are guaranteed three halls of the Harrogate Convention Centre packed with the latest new baby products from over 130 brands; plus lots of exclusive show offers. The last few spaces were snapped up by Hippychick with a range of baby slings, backpacks, bedding and infant and pre-school toys; Yorkshire based family-business Lifft Slings; and Milkymeter - a microwave thermometer to measure baby milk temperature whilst the bottle is being heated. It is just 18 days until Harrogate International Nursery Fair and momentum is gathering for everyone involved, from exhibitors planning their stands and displays; to retailers and buyers checking out the website to see which companies they must visit and what great show offers there are up for grabs. The Baby Products Association’s annual Seminar Programme has now been finalised with some fantastic speakers including Fraser Bradshaw of saintnicks and former managing director of global advertising agency McCann Erickson who will explore the role of brands to consumers and how they can keep their relevance in a world of over-supply. The finalists of the Baby Products Association’s 2019 Concept & Innovation Awards have been announced and four innovators have been invited to attend Harrogate International Nursery Fair to present their product ideas to the UK nursery industry. Momentum continues to grow for the UK's only nursery trade show; and as most of the industry plans its trip to Harrogate International Nursery Fair at the end of March, even more companies are jumping on board and booking stands to ensure they are part of the most important business networking event of the year. Just this week exhibitors reserving space include: Happy Mummy, Diono and We Made Me; WHL Europe with Purflo and Pink Lining; and Baby Lux – with more currently in discussion. There are also lots of great show offers up for grabs for visitors attending the show and these are being updated on the website daily, so keep checking for details. With more exhibitors booking for the UK's only nursery trade show, visitors attending Harrogate International Nursery Fair will be spoilt for choice with some great new products for 2019. Companies presenting nursery furniture ranges include Tutti Bambini on Stand Q98, Babeek on Stand Q17, Slumberland on Stand Q31 and Mee-go on Stand Q45 -; as well as favourites such as BabyStyle, OBaby and Silver Cross. The nursery industry is now gearing up for its most important event of the year and just last week has seen an influx of new exhibitors reserving space at the show. This includes 5-Point Plus, Easy Tots, Mummy Loves Organics, Babymoov and Little Giants, to name just a few. With the numerous big brands and many other new and well-known companies already confirmed, visitors are guaranteed lots of new products to see at the 2019 show. 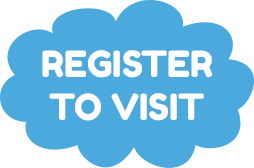 It's less than two months until the UK's only baby trade show - Harrogate International Nursery Fair - and retailers and buyers from all regions of the country, as well as numerous international visitors - are registering online and getting ready to attend their most important event of the year. It is just two months until the UK's only baby trade show - Harrogate International Nursery Fair – and for anyone who is passionate about their nursery retail business, this is a not-to-be-missed event. 2019 sees the return of major brands such as Silver Cross, Bugaboo, Microlite, Venicci, Laessig and OBaby – as well as favourites like BabyStyle, DCUK, Cheeky Rascals, Hauck and Bebecar (to name just a few). One of the world's leading nursery brands Silver Cross confirms it return to Harrogate International Nursery Fair 2019 having last exhibited in 2013. As we wind down towards a week of Christmas celebrations with family and friends, major nursery brands remain proactive, planning for a prosperous 2019. Hot off the press this week sees Bugaboo, Microlite and Venicci all confirming their attendance at Harrogate International Nursery Fair in March. Like the 70s hit Baby Come Back by the Players - trying to forget about Harrogate International Nursery Fair is a proving a 'waste of time' for baby products suppliers and the show is delighted to welcome the return of more major brands in 2019. Priority booking for Harrogate International Nursery Fair 2019 is now open and previous exhibitors are invited to reserve their preferred positions at the show before space goes on general sale. Adrian Sneyd, show organiser, said: "We received numerous favourable comments on the new hall format used for the show this year and we will be rolling this out again in 2019 and look to build on the success of the show going forward. We value the support of all the companies participating in 2018 and will be giving them the opportunity to reserve either the same stand position or request a new one for next year, before offering space out to the rest of the industry." Harrogate International Nursery Fair 2018 finished on a high as both exhibitor and visitor feedback reveals that for the majority of those attending it was another immense success. Harrogate International Nursery Fair closed its doors on the 2018 show today and retailers and buyers returned to their stores with the promise of lots of exciting new stock lines for the coming year. Visitors to Harrogate International Nursery Fair enjoyed a busy show today, with lots of exciting new products to see, exclusive show offers to secure and information to source via the Baby Products Association’s Seminar Programme. The winner of the Concept & Innovation Awards was announced as Lee Cowan and Dean Mortimer of sandsliders. The judges were impressed with the simple, yet clever product to allow a pushchair to travel across unstable ground such as sand and gravel. The award was presented by Sara Ludlam of 3Volution which sponsors the Concept & Innovation Awards each year. The Baby and Nursery Trade Awards (BANTAs) had four categories this year, Travel, Nursery, Home and Best New Product. The winner of Travel was Roma Prams with its Moda with judges commenting that the product is a stylish, affordable and functional 3-in-1 travel system. It's just two days until the UK's only baby trade show - Harrogate International Nursery Fair - providing retailers and buyers the ONLY event in the UK where they can source the latest new baby products. With just three days to go until the nursery industry’s most important event of the year, exhibitors are heading to Harrogate with an array of exciting new products to present to visitors at Harrogate International Nursery Fair. Don't forget to pre-register at www.nurseryfair.com - and check out the New Product Showcase, which is packed with some fabulous new lines; plus exclusive show offers which will save you money on orders placed at the show. In the current retail climate, there are huge opportunities for independents to maximise sales and grab an extra slice of the baby products market; and Harrogate International Nursery Fair offers the prime opportunity to source exciting new products to tempt customers into their stores. Nursery retailers across the UK are planning their visit to Harrogate International Nursery Fair - the UK's only nursery trade show - to source the latest baby products and show their support of the UK's nursery industry. Companies exhibiting fabulous products which they consider to be a cut above the rest at Harrogate this year, have just a few days to gain industry recognition by entering the Baby Products Association's BANTA Awards. The deadline to enter is Thursday 15th March 2018. With just weeks to go until the UK's only nursery trade show, exhibitors are now putting together some exciting, exclusive show offers, so retailers and buyers attending can guarantee to pick up more than a bargain or two. Harrogate International Nursery Fair confirms that allocated space for the 2018 show is almost sold out with just a few stands remaining. New for this year is the New Product Showcase which will be the first port of call for retailers and buyers seeking the latest new product launches. In addition, the Baby Products Association has organised a great line of speakers for its annual Seminar Programme and will also be announcing the winners of its BANTA and Concept & Innovation Awards. The Baby Products Association has announced its Seminar Programme at Harrogate International Nursery Fair with subjects guaranteed to inform and inspire visitors to the show this year. There are great vibes about Harrogate International Fair this fair this year, with two halls of the Harrogate International Centre already fully booked and social media platforms flowing with conversations about new product launches and special show offers. Favourite British brand Cosatto returns to Harrogate International Nursery Fair this year - having last exhibited at the show in 2003! The General Data Protection Regulation (GDPR) comes into place on 25th May 2018 and will affect every company, not only in Europe, but worldwide for those handling European nationals' data. Regardless of whether you are a sole trader or a multi-national, if your company handles personal data you are required to put policies into place to ensure compliancy. Registration is now open for the UK's only baby trade show - Harrogate International Nursery Fair - which takes place from 25th to 27th March 2018 at the Harrogate Convention Centre. This is a not-to-be-missed event for everyone in the baby trade; so, if you are a manufacturer or supplier and you haven't already booked your stand, don't miss the last few spaces available. If you are a retailer or buyer, register to visit and check out the New Product Showcase for some fabulous new launches. Harrogate International Nursery Fair confirms that more major brands have signed up to attend the 2018 show including Joie Children's Products, Nuna, Rosy Fuentes and The Red Kite Baby Company. With its new show layout for 2018, Harrogate International Nursery Fair has experienced an influx in exhibitor bookings in the last week with companies wanting to firm up their preferred space before the Christmas holidays. Companies eager to raise their brand profile to retailers and buyers across Great Britain and Europe too are now booking space at the UK’s only baby trade show – Harrogate International Nursery Fair which takes place from 25th to 27th March 2018. In just the last week Venicci confirmed that it will be presenting an even larger stand with its latest range of stylish prams and pushchairs; RHSM Group will be presenting an award-winning collection of products from Little Chick London and favourite US brand BreathableBaby; plus, OBaby and ABC Design – offering extensive ranges of pushchairs, car seats and nursery furniture. Cuddles Collection returns with its beautiful collection of Moses baskets and bedding; Clippasafe with home safety products; BeSafe – Norwegian manufacturer of quality car seats; plus, well-known brands Shnuggle and K-play. An exciting new feature of Harrogate International Nursery Fair in March 2018 - The New Product Showcase - is booking up fast, and with limited space available, companies launching 'must see' new products are recommended to reserve their showcase portal as soon as possible to avoid disappointment. With major international trade shows firmly behind us for 2017, the UK nursery industry is now gearing up for its own home trade event providing an important business platform for spring 2018 - Harrogate International Nursery Fair. Harrogate International Nursery Fair is now taking bookings for its 2018 show; and with a brand new hall layout, companies wishing to participate are advised to book early to ensure they get first option for a prime exhibiting position. Harrogate International Nursery Fair has announced dates for its 2018 event with a new hall layout and revamped look for the UK's only nursery trade show. The UK's nursery sector headed for Harrogate in the last week of March to enjoy three days of business, networking and socialising with industry colleagues. The doors closed on the 2017 International Nursery Fair today and early feedback from a number of exhibitors suggests another successful show. The halls of the Harrogate International Centre saw lots of business activity today as retailers and buyers peruse a variety of fabulous new products at the show. Exhibitors and visitors at Harrogate International Nursery Fair joined in celebration last night as the Baby Products Association announced the winners of its Concept and Innovation Awards and Baby and Nursery Trade Awards (BANTAs). A very warm welcome to everyone arriving in Harrogate this morning to participate in the UK's only nursery trade show. The halls have been a hive of activity for several days with companies from around the world arriving to exhibit hundreds of exciting new products. Don’t miss The Hub in Hall B which has lots of brand new companies showing their ranges to the industry for the very first time. Also, anyone who is confused about the new car seat regulations, visit the Baby Products Association’s Car Seat Advice Centre in Hall M, where industry experts will be on hand to explain the ins and outs – and also give advice on this type of product. If you are looking for guaranteed best-selling products at Harrogate this year, be sure to check out the Baby Products Association's shortlist for the 2017 Baby and Nursery Trade Awards (BANTAs) which was announced on Friday. These are products which the judges (who are all industry experts) believe really stand out from the crowd at the show this year. There are eight categories of products in the awards: Travel, Travel Accessories, Sleep Accessories, Toys, In Home, Safety, Feeding, Cleaning and Changing and Best New Product. There is so much for retailers and buyers to see at Harrogate this year, with almost every exhibitor gearing up to bring fabulous new 2017 ranges - as well as lots of exclusive show offers - can you afford to not be there for the entire three days? Visitors and exhibitors are invited to join a free drinks reception straight after the show on Tuesday 28th (and believe me, the canapes on offer are second-to-none!) so whilst you may be tempted to accept external invitations from companies piggybacking on the event, everything you can possibly want and need is inside the halls of the Harrogate International Centre. Those planning a strategy for their visit to Harrogate are advised to keep checking the exhibitor list as new companies are joining the show daily. The Harrogate International Nursery Fair Seminar Programme (sponsored by Nursery Online) is now finalised with a great line up of speakers. This all takes place in Hall M - and each talk is free to attend, simply turn up on the day. With just a few weeks to go until the UK's only baby trade show - Harrogate International Nursery Fair - the event offers not only an unprecedented opportunity to source the latest new baby products; but to discover the latest industry information too. With just a few weeks until Harrogate, don’t forget to pre-register online to allow swift access on arrival at the show. This year the doors open from 9.00am to 5.30pm on Tuesday 28th and Wednesday 29th, and 9.00 am to 4.00pm on Thursday 30th March. Also, check out the website before you attend as there are lots of exclusive show offers and exciting new products, plus a fabulous line up of speakers in the Seminar Programme. Visitors to Harrogate this year are guaranteed to snap up more than a bargain or two, with numerous exhibitors offering exclusive show offers. This includes as much as 15 percent off orders placed at the show, free shipping and free gifts. The Baby Products Association has confirmed a fantastic line of speakers for its Seminar Programme at Harrogate, including leading market research company GfK which will describe how consumers are no longer simply buying products, but are seeking richer retail experiences; and expert media planners Generation Media which will give the results of its study to identify six different groups of mums and how best to target each to achieve brand engagement. A number of leading brands will be attending the show with the specific aim to educate visitors about the new regulations; plus safety in general in relation to these products. This currently includes Cybex from Columbus Trading Partners and Maxi-Cosi from Dorel, with further companies to be announced. These stands will be an important port of call for anyone serious about their business wanting to ensure they give their customers correct advice from an informed position. The Baby Products Association is once again working with leading industry experts to deliver an informative seminar programme on pertinent industry subjects at Harrogate International Nursery Fair in March. With over 40 brand new exhibitors to the show this year and many of these representing more than a handful of brands, visitors to Harrogate International Nursery Fair are guaranteed to find something exciting and new to tempt their customers in 2017. As a nursery retailer, can you really afford not to attend the UK's only nursery trade show? Whilst you might scour the internet seeking different brands from pushchairs, nursery furniture, toys and accessories - where else can you discover exciting and innovative new products that your customers will undoubtedly be asking for in months to come. The industry is now gearing up for the most important event of the year for anyone involved in buying and selling baby products - Harrogate International Nursery Fair, which takes place from Tuesday 28th to Thursday 30th March 2017. The Baby Products Association's prestigious annual industry awards are now open for entry offering companies exhibiting at Harrogate International Nursery Fair the unrivalled opportunity to gain widespread industry recognition for product excellence. Companies who have already secured their space at Harrogate International Nursery Fair in March can now take advantage of a number of free marketing opportunities to raise their brand profile prior to and during the show. 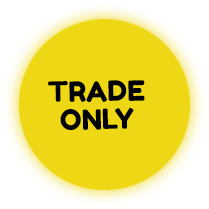 This includes free new product showcases and special show offers on the event website; participation in regular e-bulletins and participation in social media. 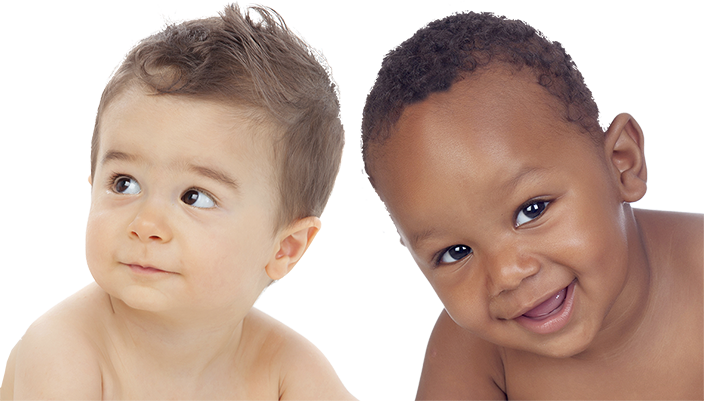 In addition, companies which are members of the Baby Products Association will have show information included on the trade association’s website. Companies returning from autumn international baby trade shows are now gearing up for 2017 and momentum for Harrogate International Nursery Fair - the UK's only nursery trade event - has grown, with an influx in bookings in recent weeks. Harrogate international Nursery Fair has announced its show dates for next year as Tuesday 28th March to Thursday 30th March 2017, opening mid-week for the very first time. The doors to Harrogate International Nursery Fair 2016 closed today on another successful event and the organisers would like to thank all of the exhibitors, retailers and buyers who turned up to support the show. There were lots of interesting new products on display and we hope that you found some great new lines to offer your customers in coming months. There were celebrations (as well as sore heads) on exhibitor stands at the show today after the winners of the BPA's annual industry awards were announced at the Majestic Hotel last night. Harrogate International Nursery Fair opened its doors on the 2016 show today and the first day has finished with a great buzz all round. With just a day until your favourite International trade show, nursery retailers and buyers from around the world are heading to Harrogate to see the latest new products the industry has to offer. There are over 150 exhibitors this year and more than 300 brands attending, so don’t forget to pack comfortable shoes! Excitement is high as the BPA has just announced its Baby and Nursery Trade Awards shortlist - lots of great new products for retailers to come and see and 'in the opinion of the judges' what consumers are going to be talking about in coming months. Twitter and Facebook are buzzing this week as exhibitors at Harrogate International Nursery Fair post details of exciting products they are bringing to the show and some amazing show offers too. The BANTA judges are out and exhibitors at Harrogate International Nursery Fair are eagerly awaiting the results to find out if their products have been shortlisted in the prestigious annual awards. The shortlist will be announced on Monday 14th March and the companies going through to the next stage can look forward to an evening of celebration at the Majestic Hotel on Sunday 20th March. Live band HUGE will be providing fantastic entertainment for what promises to be a 'not-to-be-missed' event. With over 150 exhibitors now signed up for the show, and of these over a third brand new to Harrogate International Nursery Fair, visitors are guaranteed to find some exciting new stock ranges. In addition, many exhibitors are offering some great show exclusives, so buyers can make huge savings on orders placed at the show. The exclusive 'Show Offers' list continues to expand and retailers attending Harrogate International Nursery Fair are guaranteed some fantastic discounts on orders placed at the show. This includes lots of 'buy one get one free' offers on BabyStyle's stand; Gummee, Little Saints, Cuddle Mates, Mumba Bra and Novella are all offering 20% discount; and numerous exhibitors are offering 10% off, no minimum order quantity and free gifts and accessories. Tickets for the BPA's Baby and Nursery Trade Awards (BANTAs) are selling fast as not only exhibitors hoping to receive accolade for outstanding products, but retailers wanting a great night of entertainment are signing up to attend. Visitors and exhibitors at Harrogate International Nursery Fair can learn how to boost their businesses thanks to a great line up of speakers offered by the Baby Products Association's Seminar Programme which takes place for the duration of the show in Hall H.
A challenge for retailers in any industry is pre-empting the next fashion trends and ensuring that their shelves are packed with those 'must have' ranges. Trade shows provide the essential insight into future markets and give buyers a heads up about new products launching to ensure they can respond effectively to consumer demands. The UK's only nursery trade show is looking set to be one of the most exciting events to date with numerous new companies exhibiting products at Harrogate International Nursery Fair for the very first time. Many of these exciting new brands will be found in The Hub Hall H as well as in five further halls - with everything from toys, clothing and bedding to accessories and gifts. Hall H will also be the focal point for anyone wanting to find out interesting industry facts with a great line up of speakers planned for the BPA's 2016 Seminar Programme. Visitors to Harrogate International Nursery Fair are guaranteed a great return on investment this year as numerous exhibitors are pulling out the stops with some fantastic exclusive show offers. Buyers can save £100's by placing orders at the show - see the table below - and we will be adding to these continually as they come in. The entertainment for Harrogate International Nursery Fair's annual Awards Dinner, which takes place at the Majestic Hotel on Sunday 20th March, has been confirmed as the ultimate party band - HUGE. It is less than two months until the UK's only nursery trade show - Harrogate International Nursery Fair - and visitors can anticipate a host of fabulous new products and some exclusive show offers to boot. The new year has got off to a booming start for Harrogate International Nursery Fair which has seen an influx in bookings after the festive break. Over 20 new exhibitors to the show have signed up so far in the first 2 weeks of 2016, introducing a number of fresh and exciting brands from around the world. Harrogate International Nursery Fair - the UK's only nursery trade show - has withdrawn its decision to open to the general public in March 2016. Despite its relatively small size, the United Kingdom is one of the richest countries in the world and has a higher percentage of families with three or more dependent children than three quarters of European Union countries. There are still a number of prime positions available, so anyone considering participating should get in touch as soon as possible. Companies planning to join the UK's only nursery trade show in March 2016 can snap up a bargain by booking early this year. The organisers of Harrogate International Nursery Fair have announced that they will be holding the 2015 exhibitor rate for confirmed bookings received for the same stand positions before the deadline. Exhibitors have until 1st July 2015 to return their forms to secure this deal; after this date stand rates will increase by five percent. The doors closed on yet another successful Harrogate International Nursery Fair in March and, as the only UK's only baby trade show with a track record of over 40 years, proved once again the highlight of the calendar year for the majority of the nursery sector. Another great day at Harrogate today with celebrations throughout the halls following the announcement of the BANTA Awards and Concept & Innovation Awards on Sunday night. The first day of Harrogate International Nursery Fair attracted brisk business with busy halls and buzzing activity on the stands. The Hub in Hall H proved a major attraction with visitors heading to see the many brand new exhibitors at the show this year. This was also the venue for the show's seminar programme with the first presentation by TRL describing some frightening car seat misuse statistics. The doors of Harrogate International Nursery Fair open today and visitors are expected to arrive in their hordes to see the very best of what the nursery industry has to offer. Six halls of the Harrogate International Centre packed to bursting with everything from prams and pushchairs, car seats and cribs to toys, gifts and accessories. The Baby and Nursery Trade Awards (BANTA) judges will be meeting this morning to peruse the shortlisted entries and also deliberate over the Concept & Innovation Awards finalist's entries ready to announce the winners at the BANTA Awards Dinner tonight. With just two days until Harrogate International Nursery Fair, the organiser confirms not only a sold-out show but the BANTA Awards Dinner which takes place at The Majestic Hotel on Sunday 29th March is also sold-out and those attending are in for a fabulous evening of entertainment. The BANTA shortlist was announced this week and those companies will be waiting with anticipation to see if they have won a coveted award. Visitors attending the BANTA Awards Dinner at The Majestic Hotel on Sunday 29th March are in for even more of a treat as Clarion Events (organiser of The Baby Show) has just announced that it will be sponsoring wine to accompany the meal. Adrian Sneyd of Harrogate International Nursery Fair, said: "We are delighted to have Clarion Events on board, alongside Nursery Today, as a sponsor for the evening and now guests will be able to enjoy a glass of wine with their meal as well as top class entertainment from comedian Jason Manford." Tickets for this event have almost sold out. 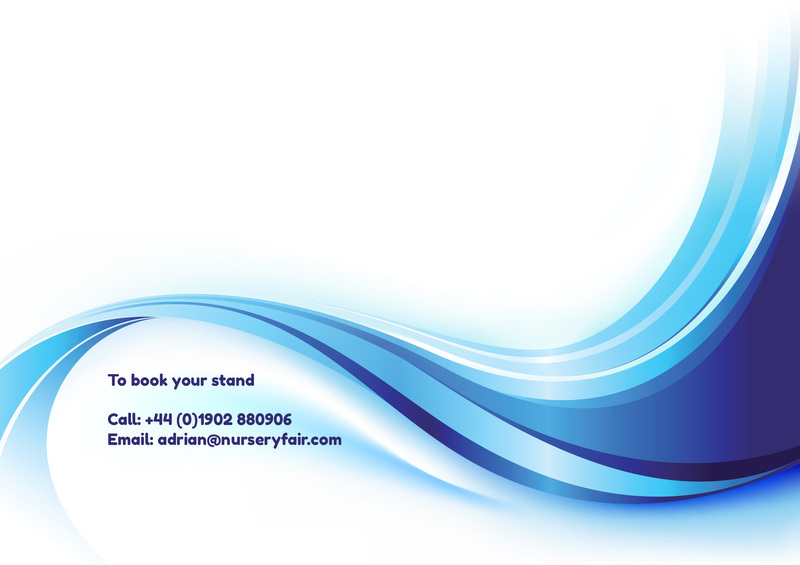 Please email Robert@nurseryfair.co.uk to check availability. The winner of the Harrogate International Nursery Fair Facebook competition was announced today as Susan Pellet of Ann's Pram Centre in Petersfield. Susan and a guest will enjoy a fabulous evening of entertainment at the BANTA Awards Dinner and will have a free night's stay courtesy of The Majestic Hotel, Harrogate. Many thanks to Mice Concierge (the show's official partner) for organising this wonderful prize - and if you still haven't booked your accommodation for the show, do get in touch with the them on +44 (0) 1438 908770 - the team has negotiated some great hotel and restaurant rates in Harrogate. With less than two weeks to go until Harrogate International Nursery Fair, exhibition space is now sold out and the organiser's promise a bumper event for everyone attending. With over 180 exhibitors, more than 300 brands and over one third of the companies attending brand new to the show, you are guaranteed to find some exciting new product ranges to entice customers the whole year round. With just over two weeks until the nursery trade's biggest event of the year, it's time to get organised for Harrogate International Nursery Fair. If you have attended the show in the past then you will automatically be registered to attend again this year. However, with job moves and promotions it's always a good idea to check that we have the right details for you so that your badge is correct at the event. The BPA Baby and Nursery Trade Awards (BANTA) judges are busy perusing numerous entries looking at all of the best 'must have' products which will be on show at Harrogate. The winners of these will be announced during the BANTA Awards and Party Night which takes place on the evening of Sunday 29th March - so be sure to keep your eye out at the show on Monday 30th March. The winners will be displaying trophies on their stands as well as certificates for the short-listed products, giving retailers and buyers a good indication of what, in the opinion of the judges, are the very best products in terms of innovation, marketability, safety, consumer appeal and value for money. If you haven't already planned your trip to Harrogate, the show's partner Mice Concierge has negotiated some great rates with hotels making it an affordable option to stay in town for a few days and get the very best out of the show. March is here and we are now counting down to the UK's only nursery trade show - and what a bumper event we have in store! With 180 exhibitors booked and of those 80 are brand new to Harrogate International Nursery Fair, retailers and nursery buyers are guaranteed more choice than ever before. Over the next few weeks we will be highlighting some of the great new products you can expect to see at the show. Don't forget, if you haven't already, pre-register online and remind your colleagues and friends in the industry to sign up too - it's free. With six halls of the Harrogate International Centre packed to the brim with exciting new baby products, retailers and buyers are advised to plan their visit to Harrogate International Nursery Fair to allow plenty of time to ensure they get to see everything the show has to offer. The Baby Products Association (BPA) has announced the finalists of its Concept & Innovation Awards and visitors to Harrogate International Nursery Fair are encouraged to come along and see these innovative new product designs first hand. These include a state-of-the-art bath thermometer; an interesting pushchair accessory concept; a post natal cleansing device and a compact pushchair which is cabin bag size and can be carried back pack style. Visit the finalists in Hall H and read more about their entries. The BPA has announced its line up of speakers for the Harrogate International Nursery Fair seminar programme and promises a holistic insight into social media and digital marketing, as well as up-to-date information on pertinent industry subjects. Harrogate International Nursery Fair is running a fabulous competition to win two free tickets to see top comedian Jason Manford live at the BPA Party & Awards night which takes place at the Majestic Hotel on Sunday 29th March 2015. The evening includes a three course dinner and dancing until late. To cap it all, the lucky winner will stay overnight courtesy of The Majestic Hotel, Harrogate. Harrogate International Nursery Fair has had an influx of exhibitor bookings in recent weeks, including lots of new international brands, toy brands and the return of previous exhibitors. With just over two months until the UK's only nursery trade show, the organisers of Harrogate International Nursery Fair are planning a bumper event with lots of exciting new products and brands including international companies exhibiting for the first time. 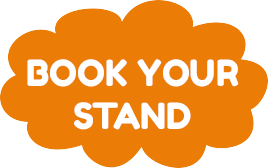 Companies which exhibited at Harrogate Nursery Fair in March 2014 have until the end of June to secure the same space again for 2015, or request a new position before general sales open shortly. The 45th Harrogate International Nursery Fair closed its doors on a high on Tuesday 25th March after three buzzing days of business, seminars, networking and socialising. There were double celebrations at Harrogate International Nursery Fair today as the Baby Products Association announced the winners of both its Baby and Nursery Trade Awards (BANTAs) and Concept & Innovation Awards. The first day of Harrogate International Nursery Fair closed on an absolute high after a bustling start and a huge buzz of activity throughout the halls. The event that the entire nursery industry has been gearing up for is now upon us and in just two days the Harrogate International Centre opens its doors to welcome thousands of buyers to view the latest new baby products from around the world at Harrogate International Nursery Fair. This time next week, Harrogate International Nursery Fair will be well underway and if pre-registrations are anything to go by, the halls will be packed with visitors grabbing the opportunity to see new product launches from around the world. Everyone in the nursery industry is gearing up for Harrogate International Nursery Fair and with the sun promising to shine this year, visitors can enjoy the beautiful north Yorkshire town of Harrogate combined with valuable business at the show. With a huge increase in exhibition space over recent years, many visitors choose to stay for the duration and can make the most of the fabulous restaurants and bars that Harrogate has to offer - and for those who feel the need to relax and unwind after three busy days at the show - don't forget your swimming costumes! Harrogate is famous for its 19th Century Turkish Baths which are one of only seven remaining in complete working order dating back to Victorian times. As well as offering buyers the ultimate venue to see all of the latest new baby products and wrap up stock decisions for the coming year, Harrogate International Nursery Fair also prides itself on being the friendly show and as always promises some light-hearted fun too. Don't miss the new Street Food Kitchen in Hall G which will get you in a carnival mood with a selection of burritos, a hog roast, plus a Belgium Waffle Emporium, a Smoothie Station and the ultimate Ice-cream Parlour! This is also the location of the BPA's Seminar Theatre too so you are more than welcome to tuck into a chocolate sundae whilst listening to the latest nursery market trends! With just over two weeks until the UK's only nursery trade show, Harrogate International Nursery Fair confirms that every single exhibition stand space is now sold filling nine halls of the Harrogate International Centre in its entirety. You may have noticed that Harrogate Nursery Fair re-branded last year to add the word 'International' to its title for the very reason that the show has grown in its 45 years from a very UK focused show to a truly worldwide event. This year, over 50 companies will be exhibiting from more than 20 countries with brands from Australia and the US to far-reaching corners of Europe. Last year visitors attended the show from almost 50 countries and this is expected to be even higher this year with a notable increase in visitor pre-registrations from around the world. Harrogate International Nursery Fair is simple to reach driving from London as you can jump onto the M1 and stay there pretty much until you arrive at your destination, however for those who prefer not to travel by car there are several alternatives. There are regular trains from London to Harrogate via either York or Leeds which will take less time than driving - around 3 hours. However, many of you may not be aware that you can now fly from London Heathrow to Leeds Bradford airport for just £47 each way with British Airways. The flight takes just over an hour and with regular buses from the airport to Harrogate makes a quick an affordable option for many retailers travelling from the south of England. Fans of the BBC television show The Apprentice can meet 2012 winner Tom Pellereau at Harrogate International Nursery Fair this year, as Babyprice will be offering his invention - the Stylfile Nipper Clipper. This revolutionary product has a safety spy hole, baby nail file and distraction app allowing parents to trim tiny nails safely and correctly. Come and meet Tom and chat about his experiences on the afternoon of Sunday 23rd March on Babyprice Stand A4. Fans of Robbie Williams and Olly Murs will be rushing to buy tickets for the Harrogate International Nursery Fair Party & Awards night this year with outstanding live entertainment provided by what is widely regarded as one of the most authentic tribute shows on the circuit. Visitors to Harrogate International Nursery Fair will be treated to some of Britain's finest culture in March with Harrogate's stunning 100 year old Royal Hall providing the venue for the North American Pavilion at the show for the first time ever. Harrogate International Nursery Fair 2014 is fast approaching and nursery retailers and buyers are in-store for a treat with all of the favourite, well-known brands attending as well as some exciting newcomers to the market with a diverse variety of fabulous new baby products. Nursery retailers and buyers seeking exciting new ranges from all major baby brands should make a firm date to visit Harrogate International Nursery Fair this March and the chance to see numerous new product launches all under one roof.